Avail Leadership’s purpose is to help organizations develop leaders at all levels. One of the ways we do this is by equipping managers and future managers with the knowledge and tools they need to inspire positive action and excellence in others. Managers who know how to bring out the best in others not only lead more productive and profitable teams, they also lay the foundation of the organization’s growth by developing future leaders. Each corporate training course is applicable to leaders at every level – from new supervisors/managers and future managers, to senior leaders and executives. Michael presented two separate workshops to our company on the same day, and he wowed both audiences. His presentations were both informative and inspiring. He captured our attention with relevant, moving, stories and then showed us how to apply the principles he so eloquently taught. We want him back next year! - Jeff Skinner, VP Development and Projects, Aspac Developments Ltd.
“We would highly recommend management training from Avail Leadership to others. We are already seeing the positive results and return on investment”. Corporate training workshops allow your entire leadership team to attend, instead of managers arbitrarily attending various training programs on their own. This helps to make sure every manager is aligned with how people in your organization should be led. It also enables participants to use their own challenges as case studies so the material can be applied and tailored to the specific needs of the organization. Often, the single most significant difference between industry-leading organizations and mediocre ones is the ability to consistently develop their employees. Go ahead and think of any industry-leading organization, and you’ll almost always find that talent development is one of their top strategic priorities. 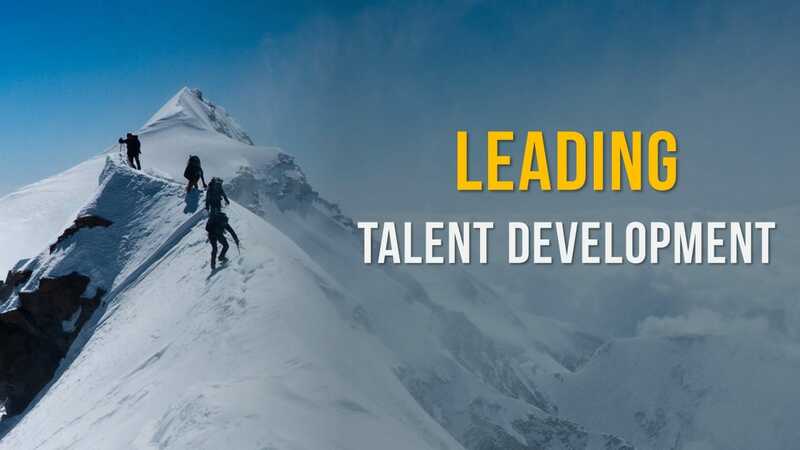 Leading Talent Development walks senior management teams through the fundamentals of implementing a continuous leadership and talent development program, and takes the first steps towards making it happen. The talent mindset that sets industry-leading companies apart from their competitors. To compare the advantages of developing talent internally versus recruiting, and discover how to turn their company into a talent development machine. How their organization’s talent development program stacks up against the best, and where it needs some work. How a world-class leadership and talent development program works and learn the necessary steps to implement one. 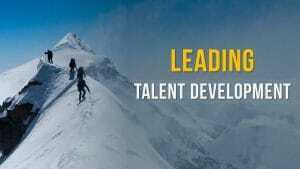 Participants will also create a first draft of the organization’s “People Motto” which the organization can use to guide all future decisions related to their talent development program, communicate to employees the priority the organization places on talent development. Before you can expect to lead anyone else, you must first lead yourself. Strong leaders have a clear understanding of their strengths and weaknesses, and are constantly working on improving themselves. They are proactive, not reactive. They project a sense of calm and steadiness to those they lead. To do this, leaders must live a life of discipline, purpose, and take steps to reduce their stress. How to become more proactive. The myth of time management, and how to manage yourself instead. How thinking preventatively is the key to manage your stress. For decades, the default method of motivating people used by business has been the “carrot and stick” approach – punishments and rewards. Contrary to popular thinking, incentive programs do not inspire people to give their best effort to their employer. What Really Motivates takes a hard look at how well the traditional approach to motivating people is working and explores four alternative methods based on more recent scientific research. Participants will gain a better understanding of how to motivate themselves, and will learn four simple strategies to motivate others – at work, at home, and in the community. The history and drawbacks of the traditional “carrot and stick” approach to motivation. Four proven strategies to motivate yourself and others. The most common management mistake and how to prevent yourself from making it. How to recognize good performance and the unexpected benefits of doing this effectively. If you’re a leader, you’ve probably heard the quote “Culture eats strategy for breakfast.” Unfortunately, when it comes to which one gets more attention from executives, it’s strategy, without question. This is perhaps because, to most executives, strategy is easier to manage. What many leaders fail to realize is that if they aren’t managing their culture, their culture is managing them. Learn how to install the building blocks upon which all truly outstanding corporate cultures are built. The difference between accountability and blame. The three steps in creating a culture of accountability. How to create a culture where people are comfortable providing candid feedback, and accept feedback with gratitude. How to hold others accountable in a positive, empowering manner. Setting Effective Goals provides participants with a framework and template to turn their ambitions into action plans, and the time and space to develop goals that can be achieved. Real-life examples of effective goals that made a big difference. Four keys to setting effective goals. Conflict is an inevitable part of our lives. How we deal with it is often the primary determinate of our ability to effectively work with others and discover win-win solutions. Most people tend to avoid conflict if possible, but then unconsciously escalate conflict when it becomes unavoidable. This workshop will help participants identify their own triggers and unconscious responses to conflict, and will provide them with tactics to modify their response for better outcomes. Participants will also learn how conflict can be a positive experience, and will be introduced to tools and practical tips to help them deal more effectively with conflict situations. Three strategies to prevent conflict. How to stop avoiding conflict that should be addressed. Collaborative problem solving: finding win-win solutions. Three keys to resolving conflict. How to deal with difficult employees. When managers want better performance from their subordinates, their default tactic is often to simply tell them what they should do. The problem is, telling people what to do does little to improve their reasoning skills and their ability and achieve higher performance. Coaching for Performance provides managers with the skills they need to develop a coaching mindset to help those they lead reach their full potential. How and why coaching conversations work for enhanced performance and productivity. The difference between training, mentoring and coaching, and when to use each approach. How to cultivate trusting relationships that inspire improved performance. How to use active listening and open-ended, powerful questions. How to help team members set goals and build in accountability for desired results.